They shared our song! Now come to Off Broadway on 8/2/2013 and hear it live! Two New, really exciting shows have been added! May 30, 2013 – HUMDRUM’s 100th SHOW! Let’s celebrate the centennial show at FOAM with Kid Scientist. June 22, 2013 — Official WE ARE ELECTRICITY EP Release show! We’ll be releasing our new EP at Off Broadway with Née and Ransom Note. 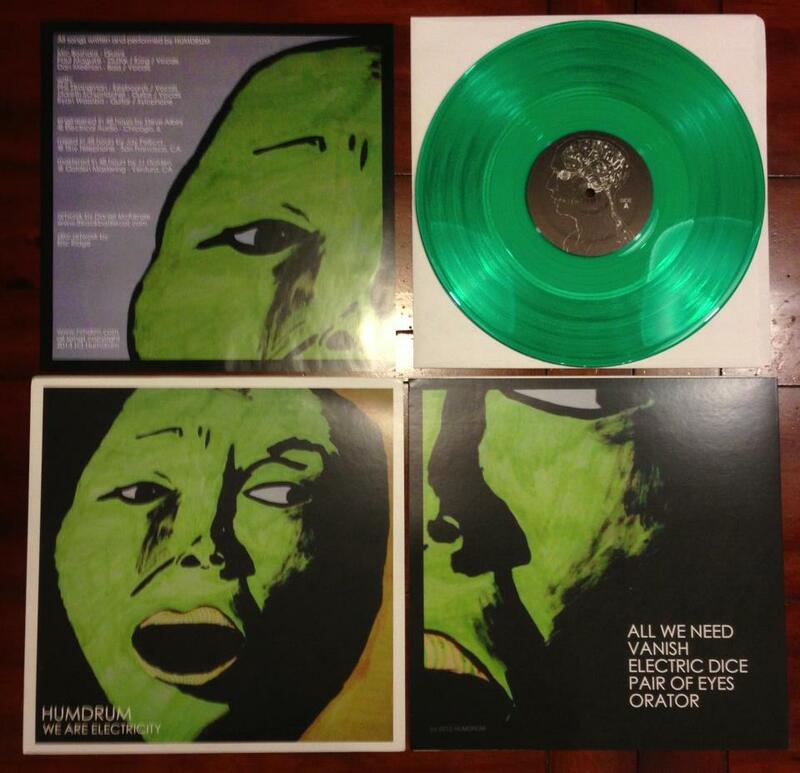 To be clear…YES IT IS ON Transparent Green Vinyl!!!! We are super excited about these two and are ready to rock the house! So, here’s the deal…for the low low price of $60, you get a year’s worth of cool, collectible, and thoroughly enjoyable St Louis music from a bunch of the best bands in this town. Just follow the link below to sign up and you’ll get a brand new split 7″ record every month for the next 12 months! That is 2 songs from 2 different artists imprinted into luxurious vinyl for your audiophile enjoyment. 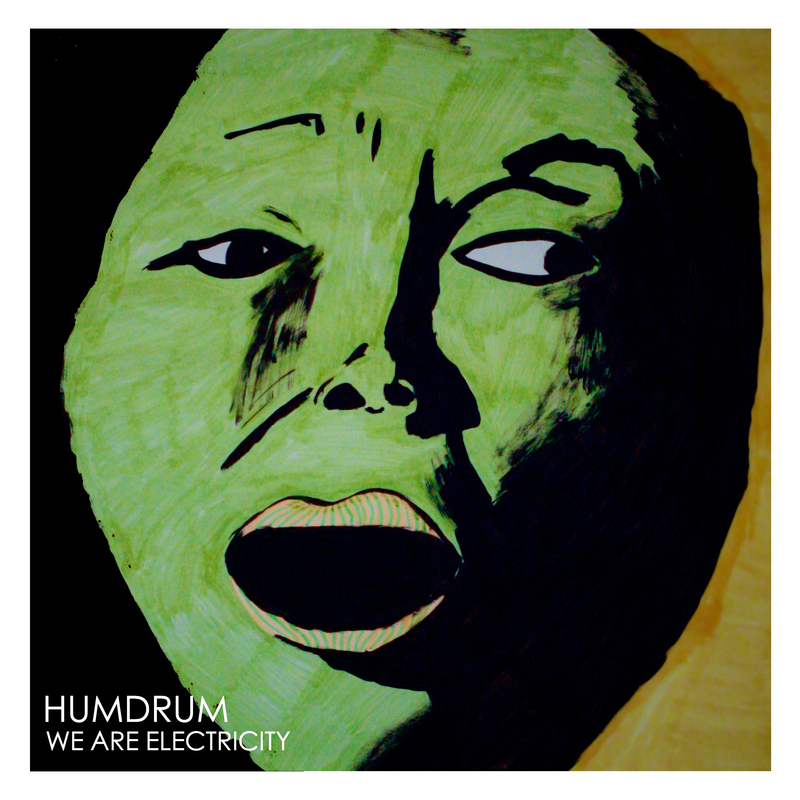 Humdrum and Accelerando will be teaming up for the NOVEMBER release. All titles come with a digital download (in case your audio equipment has an apple printed on the back). You won’t find a cooler way to spend $5/month. So, please sign up and join the cool club!